Obituary for L. Donald Hoover | Price Funeral Service, Inc.
Preceded in death by his parents; sisters: Louise Reich and Irene Decker; and brother: Dale Hoover. Survived by his wife of 63 years, the former Carol J. Porter; sons: Brian and friend Kim Haines, and Randy; grandchildren: Mindy, Ashley (Justin) Morris, Brandon, and Tyler (Mandie); several great grandchildren, nieces, and nephews. He is also survived by his loving companion and pet, Coco. After graduating from Berlin Brothersvalley High School, he went to work with his dad in the coal mines. He was drafted by the United States Army and served his country in the Korean War. Donald then worked as a welder and retired from the Boilermakers Local Union 154, Pittsburgh. He shared good times with his family and friends in the outdoors and enjoyed biking on the Rails to Trails. 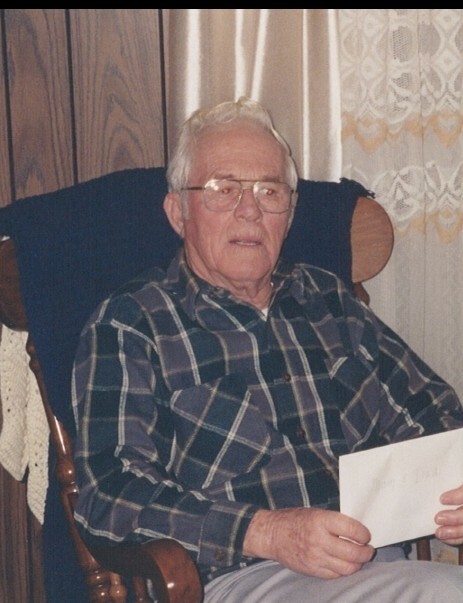 A member of Amity United Church of Christ, and a lifetime member of the VFW. Friends will be received 2 to 4 and 6 to 8 p.m. Sunday at Price Funeral Service, Meyersdale, where service will be conducted at 11 a.m. Monday with Rev. Connie Garlick officiating. Interment Meyersdale Area Union Cemetery. Arrangements by Price Funeral Service, Inc., Meyersdale. In lieu of flowers, please donate to the charity of your choice.